Under different circumstances, it’s not hard to imagine a more-democratic outcome for Russia in 1917, says U. of I. history professor Mark Steinberg. The Bolshevik seizure of power was a “daring gamble” that many believed would fail. Russia’s world-changing revolution came 100 years ago this November, but our view of it has been shaped by the repression and massive death that came in its wake, as well as by decades of Russian-U.S. conflict. 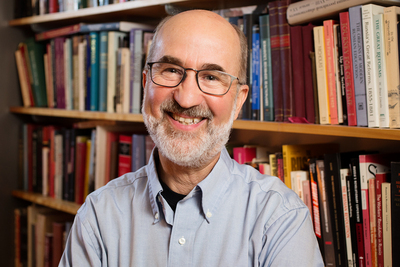 History professor Mark Steinberg is taking a fresh look at the events of 1917, both in a book on the revolution and through a series of talks this fall, including stops in Moscow and at the Chicago Humanities Festival. He spoke with News Bureau social sciences editor Craig Chamberlain. Nov. 7 marks the centennial of the Bolshevik or communist revolution. Yet it was not the first Russian revolution, even in 1917. What was driving this unrest? Among the deeper roots were enormous social inequality; rapid industrial modernization, which raised hopes and desires that could not be met; an autocratic monarchy that refused to allow civil rights and democratic participation; and the spread of alternative ideas of what society and politics could and should be. Twelve years before, in 1905, thousands had marched to petition Tsar Nicholas II for basic civil rights and freedoms, a constitutional and representative political system, legalization of trade unions and strikes, and improvements in working and living conditions so that all Russians could “live like human beings.” The revolution that resulted forced him to grant some of these demands, though he then did all he could to limit these concessions. Even with these raised hopes and persisting frustrations, many historians believe that Russia might have avoided further revolution and enjoyed gradual reform were it not for the stresses of World War I. We will never know. How would you describe the atmosphere in Russia following the February Revolution? People poured into the streets when they heard that Nicholas II had fallen from power. Strangers embraced, wept and kissed. One writer felt that this was just “like Easter – a joyous, naive, disorderly carnival paradise.” A physician and activist for women’s rights wrote on the first day after the abdication that “Russia has suddenly turned a new page in her history and inscribed on it: Freedom!” One newspaper, suddenly free of all censorship, declared these days to be “a springtime of resurrection and renewal. A springtime of freedom.” You get the idea. The problem was, “now what?” The energy released by the revolution made solutions to all of Russia’s terrible problems seem within reach. What did the Russians hope for? The simple answer is “freedom,” a word that was constantly used. But what is freedom? There was no agreement. For some people, freedom meant liberation from all constraints. For many others, and probably most in the lower classes, freedom meant more than the liberty to pursue happiness, but guarantees of the conditions for happiness. This meant ending the war, providing food, controlling prices, rebuilding industry, ensuring jobs, giving all of the land to the people who worked it, expanding education, etc. What sort of freedom could there be, people asked, without peace, food, land? So why the second revolution of 1917, the October Revolution, which brought the Bolsheviks or communists to power? And why did they succeed? The Bolshevik seizure of power in early November (late October on the Russian calendar) was a daring gamble in an almost impossible set of circumstances. Most Marxists believed Russia was not ready for socialism and this was courting disaster. But the Bolshevik leader, Vladimir Lenin, was exceptionally flexible – though some would call it a cynical lack of principles. He was willing to do anything necessary to protect Soviet power, aided by important allies such as Leon Trotsky, also a pragmatic genius. First and foremost, the new Soviet government gave the people what they demanded: peace, bread and land. It made peace with the Germans, endorsed the de facto seizure of all the land by peasants and nationalized most of the economy in order to try to make it work again. Equally important, Lenin and his allies did not shy away from authoritarianism and violence. Repression and even terror were accepted not only as necessary but as a virtue when used for desirable ends. Many Bolsheviks warned that this was a dangerous path away from the liberating and democratic spirit of the revolution. But Lenin and Trotsky responded simply: If you accept the ends, you cannot refuse the means. How is Russia marking the centennial? At the top, President Vladimir Putin has tried both to downplay the centennial and control the narrative. Politically, he is opposed to, and fears, anything that smells of protest and revolution. Stability, order and authority are his watchwords. In educated society, there are numerous talks and conferences on the revolution. As long as this stays in the politically harmless world of academia, the state does not care. And then there is popular culture, which is full of movies, TV series, magazine stories, novels and other examples of storytelling about the revolution. In these the general mood is both sensational and largely negative: Dramatic personalities! Evil men and their victims! Bloody events! Tragedy! Catastrophe! But entertaining. To reach Mark Steinberg, call 217-300-4104; email steinb@illinois.edu. Steinberg’s book “The Russian Revolution, 1905-1921” is available from Oxford University Press.